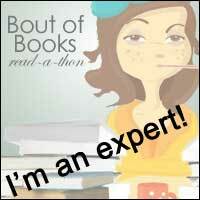 Fabulous Book Fiend: 2000 follower Giveaway Winner! Ok, so I only had 3 entires for my giveaway this week. I offered you guys the chance to win an audiobook of your choice to celebrate me reaching 2000 followers on twitter! 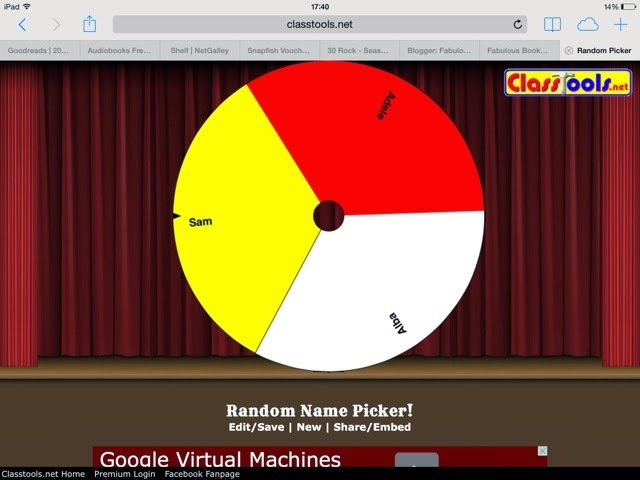 I used a random name generator online as I am away at the moment and don't have access to my usual bowl and paper set up for choosing winners, you miss it-I know! 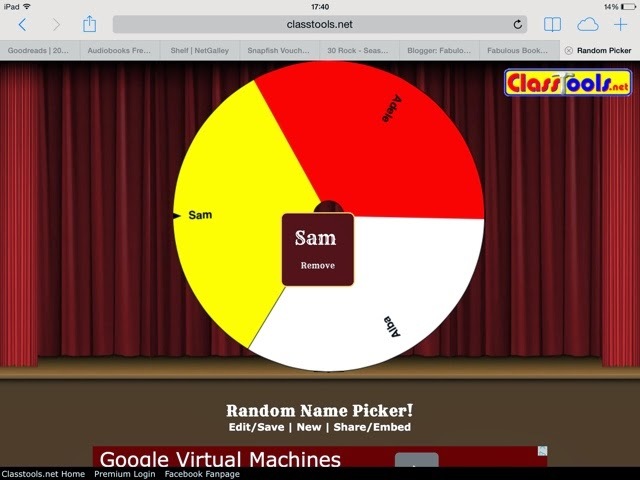 And the winner was Sam! Drop me a reminder of your email address and which book you fancy from http://www.audible.co.uk/ and I'll get it sent across to you!